‘The letters of Hotel Mille Luci were set in stone, glinting with turquoise and jade’. When Kit loses her mother in tragic circumstances she feels drawn to connect with the father she has never met. 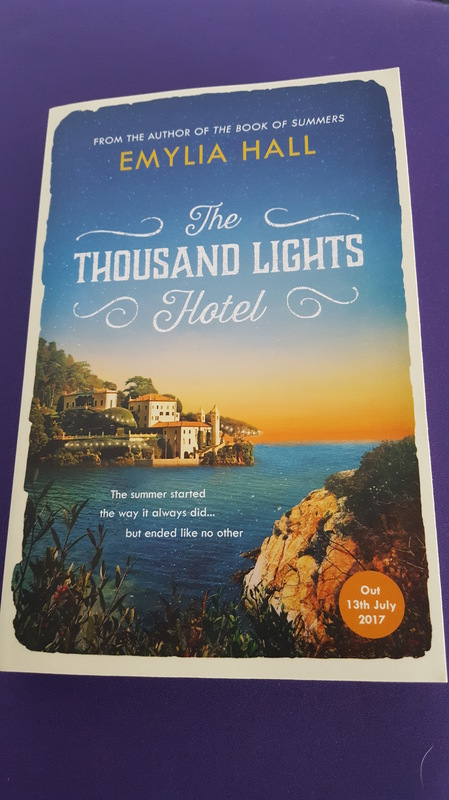 The search brings her to the Thousand Lights Hotel on the perfect Italian Island of Elba. Within this idyllic setting devastating truths is brought to light shaking the foundations of the hotel and the lives of the people within it. What a beautiful book. Set on an Italian Island, The Thousand Lights Hotel helps us forget about the mundane and our daily routines. It helps us understand people and why we do certain things but above all it gives us hope. When Kit arrives on the island, Oliviero wins her heart from the very first page and is a constant companion for her. A chef at the hotel, he proves to be worth his weight in gold. Valentino is just a man. A man who Kit believed was dead for nearly 30 years. Through this story he gains a daughter and her a father. But are they ready for this new life, to welcome each other with open arms. All the characters at the Mille Luci make it what it is…a story about people…Human beings. A story about relationships and love, betrayal and hurt. And about grief. It is heart breaking and poignant and you can almost feel the lose of Rosa, Kits mother through the pages. It takes you on a rollercoaster of emotions, some bad, some good. A beach read with a difference. It almost feels as if your reading the story of someone’s life rather than the workings of a fantastic imagination. Beautifully written with a serene backdrop. Published on the 13th July by Headline.